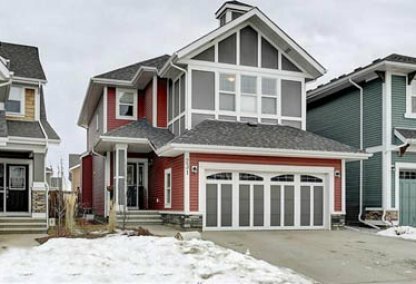 See the newest Seton homes for sale & South East Calgary real estate listings below. Seton is a 365-acre new suburban community located in the southeast zone of Calgary, AB. It's bounded by 52nd street SE on its east, Seton Blvd. on its north, and Deerfoot Trail on its west. It is immediately located on the east of Cranston and the south of Auburn Bay. Discover just listed Seton properties for sale now! Schedule a guided home tour today with your Seton Calgary real estate agents. Seton housing market statistics: As of April 24, 2019 there are currently 38 properties for sale in Seton listed as active, with an average asking price of $387,591. The highest-priced property is $675,000; the lowest priced property can be purchased for $190,000. Seton neighbourhood listings have an average price of $297 per square foot, based on listings with 2.8 bedrooms, 2.5 baths, and 1,352 square feet of living space. Looking to sell or buy a home in Seton Calgary? Call Justin Havre at RE/MAX First - 403.217.0003, your neighbourhood Calgary real estate team. We are Seton real estate agents and experts on the Seton housing market in Calgary. Seton's plan for the future is for smart growth and development with all the necessary elements housed in this community. It's a 15-year development plan by Brookfield Residential, which used to be known as Carma Developers. The expected population of the Seton neighbourhood in 2030 will exceed 120,000. Seton's amenities will be equivalent to Alberta's third largest community. It will be filled with shopping, business parks, and residential housing. The surrounding population is also expected to shoot up once the project is completed. 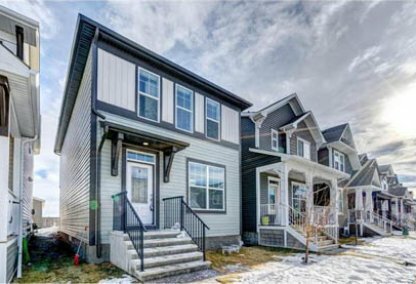 This urban housing market is being called the "new South" of Calgary. The amenities that are expected to reside within the community are countless. This is an ambitious plan and will take cooperation from the right blend of business people. What is expected and planned to be the "second downtown" of Calgary will definitely be able to offer unique lifestyle opportunities to future home buyers. It's the neighbourhood where people can live, eat, work, meet, and learn. It's the ultimate location for people who want everything just a few blocks away from where they live. It's the total living experience, where people can work, play, and reside all in the comforts of one community. Thinking of buying or selling a home in Seton? Let our local real estate agents help guide you through the purchase of your next home, or to expertly negotiate the sale of your current home. As local Seton real estate agents, we're experts on the market dynamics unique to the Seton real estate market. We'll get to work for you today! Contact Justin Havre at RE/MAX First - 403.217.0003 to learn more about buyer or seller representation. Planning to sell your Seton home? Check out our free home evaluation, where you can instantly price your Calgary home price your Seton home online, in minutes!